The Best Professional Gutter Cleaning Company In Louisville. All of us have important projects on our to-do list, but one of the most important is Gutter Cleaning, yet it’s too often overlooked. I know there are probably no two words in our language less pleasant than the words, gutter cleaning, but pleasant or not it must be done because if you think a few leaves, twigs and debris in your gutters are harmless think again. 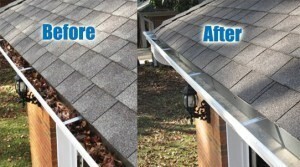 Cleaning your gutter at home in Louisville, KY is an integral part of our home maintenance. They control the water around your home and helps move water away from your roof and deposit it a safe distance away from the home foundation. Clogged gutters and downspouts can wreak havoc, this can result in damage to fascia, soffit, roofing or even cause leaking. It can ruin your home or Commercial buildinginside and out by allowing water run into your walls. Remember, sometimes our house is the biggest invest in our life, our home is the place where we want our kids to spend most of their time and sometimes we have built this house the way we always dreamed. Would you really put in risk your investment for a routine gutter cleaning maintenance? Let’s take a closer look at all the reasons why you absolutely can’t ignore your gutters cleaning service in Louisville and learn all about the importance of cleaning your gutters before and after winter. Avoid nesting areas for termites, birds, mosquitoes and other insects and unwanted pests. Prevent destruction of expensive landscaping. Keep your health and prevent accidents. Maintain value, beautiful you home. 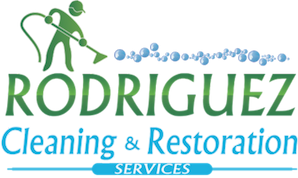 When your call Rodriguez Cleaning Services for your Gutter Cleaning Service Louisville, expect these promises in addition to our deep gutter cleaning service. 100% Satisfaction Guaranteed: You don’t pay your bill if you are not satisfied. Guaranteed Pricing: One price from the beginning to end of the cleaning. Respect: Won’t be damaging and stealing any personal items from your property. Environment Protection: We don’t use any chemicals that will hurts your pets and grass. Clogged gutters are the number one cause of basement water problems. Roof water overflows and accumulates around the foundation. If this happens, basements leaks may be moments away. This one of the main reason of why your gutters needs to be clean frequently. 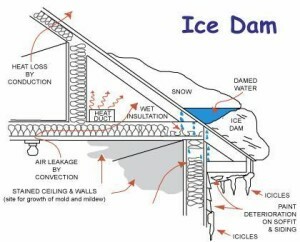 In winter, ice-dams can form on top of clogged gutters and downspouts. Then snow builds up across the top of your gutters and freezes. During the next thaw, water running off the roof is blocked by the frozen snow and backs up into the house. This can lead to major wall and ceiling damage. Overflowing and clogged gutters can deposit water on walks and driveways where it can freeze and cause a tripping hazard. Avoid this problem by keeping your gutter clean and the downspouts extended away from any traffic area. Misdirected and clogged gutters spouts often cause driveways and walks to sag and crack. Water backing up from clogged and Dirty gutters will cause moisture damage to the wood fascia around the house. The rotted area will get worse quickly if the leak is not eliminated by cleaning the gutters. Any plant, grass or trees can be killed by excess water. Overflowing gutters can cause severe erosion and put an early end to young plants. 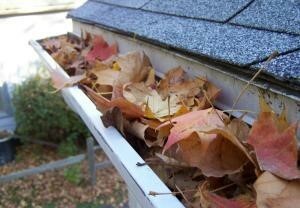 Clogged gutters with fallen autumn leaves can create standing water and standing water invite all kinds of pests like mosquitoes. They love to use standing water as places to lay their eggs and that can lead to an even bigger problem. A poor maintenance of the gutter cleaning systems can cause many damages to our homes like those listed above and even higher spending on repairs, without mentioning also put our health at risk. With a little attention we can prevent all these harms and would obtain many benefits. Make sure to schedule your gutter cleaning Louisville. Please don’t wait unfortunately, this is like waiting to lower your cholesterol until you have a heart attack. If you are not comfortable with heights or don’t use tall ladders frequently, this is not a job for you. Consider hiring a specialist to help. If you don’t want to hire any company, you can do it is easy. You will need a ladder, work gloves, hose and a container to gather the debris such as a bag or bucket. Watch out for hidden hazards like electric lines and bees nests. Once the gutters and spout are clean make sure the discharge end is extended at least 4 to 6 feet away from the house. Best and Most Trusted Carpet Cleaning Company in Louisville.